Kids are proud when they lose their first tooth, why not encourage them to show the world! T-shirts come in sizes 5/6 and 7. They are 100% cotton jeresy knit and come in pink, grey and blue. 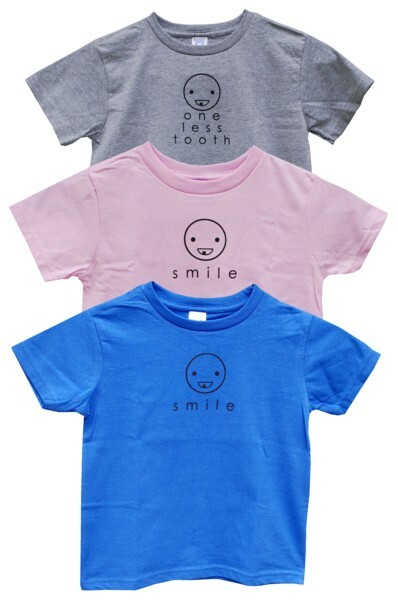 You can pick your t-shirt saying, either SMILE or ONE LESS TOOTH. Shirts run true to size, but if you have a big kid (boys especially), order up a size.